Three-quarters of high rainfall (more than 600mm annual rainfall) clover pastures in Western Australia do not need additional phosphorus for optimal plant growth. Whole farm nutrient mapping has shown that 60%–80% of paddocks may not need additional phosphorus in the year of the test because of a history of high fertiliser use. Other nutrients or soil pH are often the limiting factors on these soils. We recommend soil testing for phosphorus and other nutrient needs, to support good fertiliser use decisions. Soil tests show how much phosphorus is already in the soil and how much phosphorus, if any, needs to be applied to reach a production target. Soil test results can be used to estimate relative pasture growth before the pasture has germinated. Using the soil test evidence, and calculating pasture production targets to meet livestock needs can save money and the environment. We recommend soil testing at least every 3 years to assess changes in soil phosphorus, either by sampling a third of the paddocks every year or each paddock every 3 years. Soil testing may be needed at shorter intervals for farms with sandy soils (where leaching is higher) or with high phosphorus removal in products (hay cutting or dairies). Other nutrients or soil acidity that limit growth will affect the need for phosphorus. A soil test can show if potassium or sulfur levels are limiting, and any problems from soil acidity (pH). How do I know if I need phosphorus or other nutrients? If I need it, how much should I apply to achieve my production target? Is aiming for my production target the best economic decision? How do I know if I applied the right amount? Answers to the first 3 of these questions can be found in the information on this page and in Bulletin 4829 (download PDF 1.5MB) if you have soil test results. Fertcare-accredited advisers with decision support tools can help to answer the fourth. By measuring available nutrients and choosing a production level. This can be done by soil sampling and testing. at an appropriate depth (10cm). If the samples are not collected following those guidelines, soil testing can lead to expensive fertiliser errors. 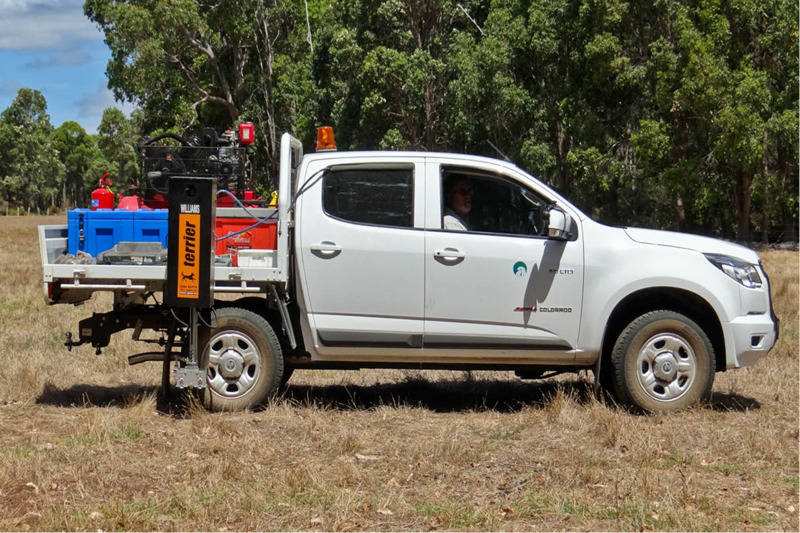 Send your soil samples for testing to an accredited laboratory – accredited by the Australasian Soil and Plant Analysis Council (ASPAC) and using the analytical methods appropriate for Western Australian soils. Most farmers in WA send soil samples to one of the major fertiliser companies that test at their own laboratories. You can engage an independent or Fertcare-accredited adviser to interpret the soil test results and recommend fertiliser types and rates. Confirm your phosphorus fertiliser decisions – based on soil testing – with regular tissue testing in selected paddocks through the growing season. Tissue testing can indicate when clover or ryegrass in the pasture are likely to be phosphorus deficient. Tissue testing is the only reliable way to determine if micronutrients – such as copper, manganese, zinc, magnesium, iron and boron – are limiting in pasture plants. We recommend tissue testing after liming or where micronutrients have not been applied for many years. If any element is deficient, yield loss may have already occurred and will need to be corrected for the following year. above the soil surface (whole shoots). Collect separate clover and ryegrass samples because their critical phosphorus values are different. Table 12 lists suggested phosphorus values. Agricultural lime is used to treat soils that are too acid. It is not worth adding phosphorus fertiliser if the soil pH (acidity) is too low. Check your soil acidity in the soil test results before making fertiliser decisions. If the pH measured in calcium chloride (CaCl2) is less than 5.5 in the top 10cm or 4.8 in the subsoil, use agricultural lime to raise the pH. See developing a liming program and lime application techniques for detailed information. Lime can take several years to react with the soil to show a pH change. Agricultural lime is crushed limestone (mainly calcium carbonate), has low solubility, and when applied to the surface, takes a long time to move into the subsoil. Phosphorus is usually applied in autumn to pasture that has already germinated after opening rains and is growing well. In the high rainfall areas, a better option is to split applications of phosphorus – in autumn and late spring. Spring applications have fewer trafficability problems, and this is when pasture nutrient requirements are at their greatest. Profitability and stocking rates will determine the optimum production level, and a computer model is required to take into account the full range of factors. Aiming for too high or too low a production level can reduce your profitability. From the soil phosphorus (P) test – in WA, this is usually Colwell P, also known as bicarbonate extractable P or 'bic P' – it is possible to determine the percentage of maximum productivity that may be attained in the growing season following the soil test (Figure 1), provided there are no other production constraints. The maximum productivity is the production that can be achieved for clover-based pastures in areas where rainfall is more than 600mm per year and where there are no limiting factors, such as acidity, nutrient deficiencies or drought. Your ability to turn this pasture into livestock production will depend on factors such as grazing strategies and stocking rates. The critical soil test value for a soil is the value which produces a target pasture yield expressed as a percentage of the maximum. 80%–85% is often used as a target for beef grazing systems. Your production level target should be discussed with your FertCare-accredited adviser and needs to take account of things such as your stocking rate, pasture type, commodity prices and personal circumstances. The critical values for soils of different phosphorus buffering index (PBI) shown in Figure 1 are listed in Table 1. PBI is the capacity of the soil to sorb or compete with plants for phosphorus. Older measures of sorbing capacity – reactive iron and phosphorus retention index (PRI) – are included in the tables to help you to evaluate older soil test results. divide the amount of phosphorus to be applied (kg/ha) by the proportion of phosphorus in the fertiliser to get the application rate of fertiliser in kilograms per hectare. These figures are based on the standard soil sampling depth of 10cm and are based on the Better Fertiliser Decisions manual. Use the PBI level in Table 1 from your soil test to select which of Tables 2 to 9 to use. Use Table 5 because the PBI is between 15 and 35. Find the phosphorus soil test of 12mg/kg on the top row. Run down the 12mg/kg column until you reach the 85% row. Find the phosphorus amount to apply is 11kg/ha. Divide the 11 (kg/ha) by 0.088 (the proportion of phosphorus in superphosphate or 8.8%) to determine that superphosphate is required at 125kg/ha. Run down the 12mg/kg column until you reach the 95% row. Find the amount of phosphorus to apply is 32kg/ha. Divide the 32 (kg/ha) by 0.088 (the proportion of phosphorus in superphosphate or 8.8%) to determine that superphosphate is required at 363kg/ha. Use Table 8 because the PBI is between 140 and 280. Find the phosphorus soil test of 30mg/kg on the top row. Run down the 30mg/kg column until you reach the 85% row. The amount of phosphorus to apply is 0kg/ha (the cell is blank) because there is sufficient phosphorus in the soil. Apply no phosphorus fertiliser and check for other fertiliser required. Note: the figures provided assume that no other factors are limiting. If pH is low, the availability of phosphorus might be limited at low levels, and if other nutrients are deficient, then no matter how much phosphorus you apply, it is unlikely you will achieve your production target. 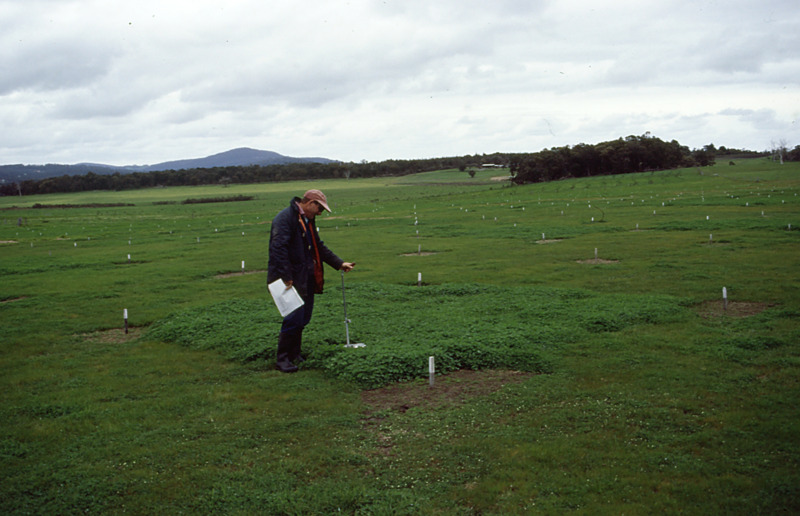 Tables 2 to 9 are constructed from trial data summarised from the 1960s and 1970s on the response of clover pasture. The phosphorus requirement of clover is higher than for grasses. Recommendations for clover pastures are likely to overestimate the phosphorus requirements of pastures dominated by grasses. Tables 2 to 9 expand on Figure 2, and go on to provide estimates of phosphorus fertiliser requirements. The yield with no phosphorus applied is the proportion of maximum production that the Colwell P test may achieve. This level of production could also be achieved by applying an equivalent amount of phosphorus (in kg/ha) to a soil that contains no Colwell P.
Tables 2 to 9 answer the question of how much phosphorus you should apply to achieve your production target, but not whether this is the best economic decision. These tables provide information on growth under good conditions but do not take account of factors such as the cost of the fertiliser or returns from the livestock. To calculate the most profitable level and method of applying phosphorus fertiliser requires a computer model (not supplied here). We recommend that you discuss the economics of your fertiliser program with your FertCare-accredited adviser. If the phosphorus soil test is close to the high phosphorus status critical value (±10%), a small application of fertiliser (roughly equivalent to the phosphorus removed in products, and losses in leaching, run-off and phosphorus sorption) may be required to maintain the soil phosphorus status of the soil at that critical value. For soils with PBI greater than 70, phosphorus soil test values generally decline slowly if no phosphorus fertiliser is applied. For sandy soils with a very low PBI, phosphorus soil test values fall more quickly than those with a high PBI. Soils with a high PBI which have been heavily fertilised over many years usually have a phosphorus soil test well above the critical value, as in Example 3 above. Table 13 shows an example using results from a dryland experiment conducted on a dairy farm near Boyanup. 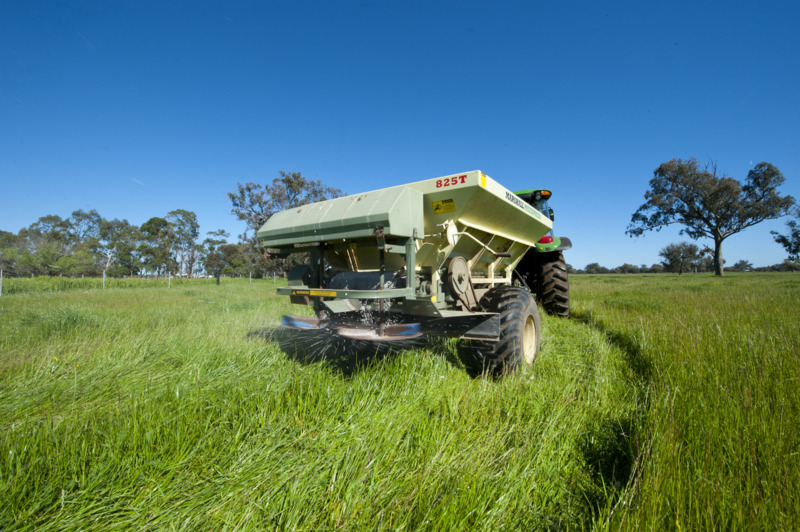 Six rates of phosphorus, as superphosphate, were applied 3 weeks after pasture emerged at the start of each growing season – the standard recommendation for the region. The soil test and yield data shown in Table 13 are for the nil-phosphorus treatment. The yield data are for pasture dry matter consumed for all grazings in each year. Because the soil test values for the nil-phosphorus treatment were always above the critical value for the soil (34mg/kg = 34ppm, for a PBI of 132), there was no pasture yield response to applied phosphorus. The nil-phosphorus plots yielded as much as the highest rate of phosphorus in every year of the experiment. The experiment started mid-June 2000, so yields are lower than in subsequent years because pasture yields before the start of the experiment in 2000 were not measured. The experiment was terminated at the end of the 2004 growing season. Different soils will compete with plants for the phosphorus which is applied to the soil through a process called adsorption or fixation. Sandy soils have a low capacity to compete for phosphorus (they have low phosphorus adsorption or fixation) compared to loam and clay soils. If you need to apply phosphorus, less will be required for a sandy soil than for a clay soil to achieve your desired production target. To measure how strongly soils compete, adsorb, or fix phosphorus, a range of methods have been used, including PBI, PRI and reactive iron. The PBI test was recently developed in eastern Australia and is now the national standard procedure used in all states for agronomic recommendations. You will need to use one of the measures of phosphorus sorption (PBI, PRI or reactive iron) to determine which tables to use with your Colwell P soil test. Table 1 provides approximate ranges of PRI, PBI and reactive iron and their respective phosphorus sorption categories. Iron and aluminium compounds in soils (clays, oxides, organic matter and sandy soils coated with various amounts of iron and aluminium oxides) influences their capacity to sorb phosphorus. These differences, measured with PBI, affect the soil test calibrations as shown in the soil test tables. In the 3 examples above, it is possible to estimate the amount of phosphorus already in the soil. Aiming for 85% production on a beef property on a soil with PBI 18 and a phosphorus soil test of 12mg/kg: using the supplied tables shows the yield with no phosphorus applied may reach 76% of maximum production. This is lower than the 85% production target, and therefore phosphorus is required. Aiming for 95% production on a dairy property on a soil with PBI 18 and a phosphorus soil test of 12mg/kg: the soil is the same as in Example 1, and the yield with no phosphorus applied may reach 76% of maximum production. This is lower than the 95% production target, and therefore phosphorus is required. Aiming for 85% production on a beef property on a soil with PBI 190 and a phosphorus soil test of 30mg/kg: the yield with no phosphorus applied may reach 90% of maximum production. This is higher than the 85% production target and therefore no phosphorus is required. DPIRD encourages grazing (dairy, beef, sheep) industries in the lower south-west of Western Australia to base any nutrient management decisions on good evidence, and recommends regular soil testing and consultation with FertCare-accredited advisers to plan profitable and responsible fertiliser use. Download Bulletin 4829 'Soil test and phosphorus rate for high rainfall clover pastures'. Barrow, NJ 1967, ‘Some aspects of the effects of grazing on the nutrition of pastures’, Journal of the Australian Institute of Agricultural Science, vol. 33, pp. 254–262. Bolland, M & Russell, B 2008, ‘Lime for high rainfall pastures: above 800 mm average annual rainfall’, Bulletin 4750, Department of Agriculture and Food, Western Australia, Perth. Bolland, M & Russell, B 2009, ‘Sulphur for high rainfall, rain-fed pastures: above 800 mm average annual rainfall’, Farmnote 404, Department of Agriculture and Food, Western Australia, Perth. Bolland, MDA, Allen, DG & Barrow, NJ 2003, ‘Sorption of phosphorus by soils – how it is measured in Western Australia’, Bulletin 4591, Department of Agriculture and Food, Western Australia, Perth. Bolland, MDA, Cox, WJ & Codling, BJ 2002, ‘Soil and tissue tests to predict pasture yield responses to applications of potassium fertiliser in high-rainfall areas of south-western Australia’, Australian Journal of Experimental Agriculture, vol. 42, pp. 149–164. Bolland, MDA & Guthridge, IF 2007a, ‘Determining the fertiliser phosphorus requirements of intensively grazed dairy pastures in south-western Australia with or without adequate nitrogen fertiliser’, Australian Journal of Experimental Agriculture, vol. 47, pp. 801–814. Bolland, MDA & Guthridge, IF 2007b, ‘Responses of intensively grazed dairy pastures to applications of fertiliser nitrogen in south-western Australia’, Australian Journal of Experimental Agriculture, vol. 47, pp. 927–941. Bolland, MDA & Guthridge IF 2009, ‘Quantifying pasture dry matter responses to applications of potassium fertiliser for an intensively grazed, rainfed dairy pasture in south-western Australia with or without adequate nitrogen fertiliser’, Animal Production Science, vol. 49, pp. 121–130. Dilley, R & Howes, KMW 1998, Profit from pastures: improving the management of pastures in southwestern Australia, Department of Agriculture and Food, Western Australia, Perth. Fulkerson, WJ & Donaghy DJ 2001, ‘Plant-soluble carbohydrate reserves and senescence-key criteria for developing an effective grazing management system for ryegrass-based pastures: a review’, Australian Journal of Experimental Agriculture, vol. 41, pp. 261–275. Summers, RN & Weaver, DM 2006, Current status and 25 year trends for soil acidity, fertility and salinity in the coastal catchments of the Peel-Harvey, Final report to South West Catchment Council, Project L7-03. Weaver, DM & Reed, AEG 1998, ‘Patterns of nutrient status and fertiliser practice on soils of the south coast of Western Australia’, Agriculture Ecosystems and Environment, vol. 67, pp. 37–53.